Georgina (George) Moulton is a Professor of Bio-Health Informatics and Education at the University of Manchester. She brings 15 years’ experience in education and development and is recognised nationally and internationally for her leadership in setting education strategy, having recently created four national curricula to develop health data science skills for the NHS and industry from A-level to postgraduate levels. 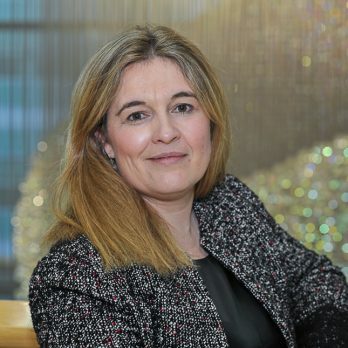 She (co-)directs several capacity building programmes across multi-institutional centres, including the NHS Graduate Management Training Scheme in Health Informatics, Health eResearch Centre in Manchester and Department of Health Connected Health Cities. Her research interests lie in the development of innovative ‘team science’ and ‘just-in-time’ training infrastructures and environments. 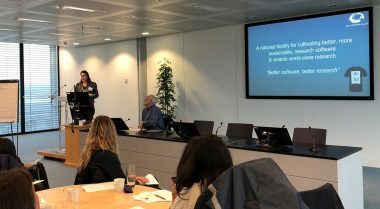 So it was with much excitement that we welcomed our fellows among the 38 attendees, to the HDR UK offices in the Wellcome Trust Building for the Inaugural HDR UK Fellows Day on 15 November 2018.